Abstract. Though an outstanding achievement for their time, the United States Geological Survey (USGS) topographic maps of the eastern Alaskan Arctic nonetheless contain significant errors, and in this paper we address one of them. Specifically, USGS maps of different scale made in the late 1950s alternate between Mt. Chamberlin and Mt. Isto as the tallest peak in the US Arctic. Given that many of the peaks here are close in height and covered with glaciers, recent climate change may also have changed their height and their order. We resolved these questions using fodar, a new airborne photogrammetric technique that utilizes structure-from-motion (SfM) software and requires no ground control, and validated it using GPS measurements on the peaks as well as airborne lidar. Here we show that Mt. Chamberlin is currently the third tallest peak and that the order and elevations of the five tallest mountains in the US Arctic are Mt. Isto (2735.6m), Mt. Hubley (2717.6m), Mt. Chamberlin (2712.3m), Mt. Michelson (2698.1m), and an unnamed peak (2694.9m); these heights are relative to the NAVD88 GEOID12A vertical datum. We find that it is indeed plausible that this ranking has changed over time and may continue to change as summit glaciers continue to shrink, though Mt. Isto will remain the highest under current climate trends. Mt. Isto is also over 100m taller than the highest peak in Arctic Canada, making it the highest peak in the North American Arctic. Fodar elevations compared to within a few centimeters of our ground-based GPS measurements of the peaks made a few days later and our complete validation assessment indicates a measurement uncertainty of better than &pm;20cm (95% RMSE). By analyzing time series of fodar maps, we were able to detect topographic change on the centimeter level on these steep slopes, indicating that fodar can be used to measure mountain snow packs for water resource availability or avalanche danger, glacier volume change, and slope subsidence, as well as many other applications of benefit to society. Compared to lidar, the current state-of-the-art airborne topographic mapping, we found this SfM technique as accurate, more useful scientifically, and significantly less expensive, suggesting that fodar is a disruptive innovation that will enjoy widespread usage in the future. 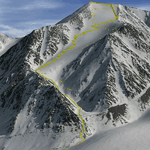 How to cite: Nolan, M. and DesLauriers, K.: Which are the highest peaks in the US Arctic? Fodar settles the debate, The Cryosphere, 10, 1245-1257, https://doi.org/10.5194/tc-10-1245-2016, 2016. 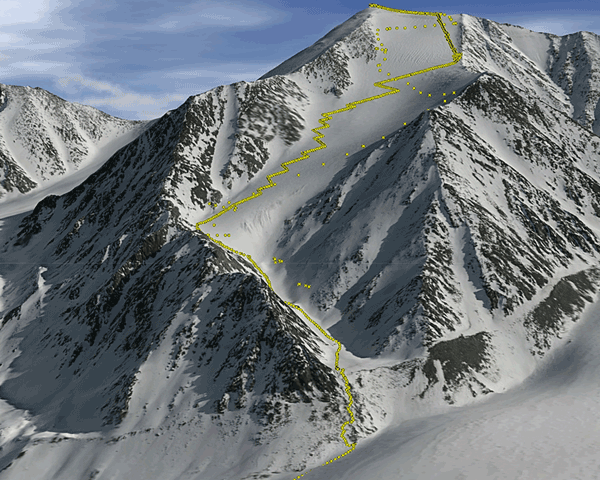 We measured the heights of the five tallest peaks in the US Arctic using fodar, a new airborne photogrammetric technique using structure-from-motion software. The highest peaks are Mt Isto (2735.6 m), Mt. Hubley (2717.6 m), Mt. Chamberlin (2712.3 m), Mt. Michelson (2698.1 m), and an unnamed peak (2694.9 m). We found fodar suitable for topographic change detection on the centimeter scale in steep mountain terrain, such as for measuring snow depths.